In April of 2017 the Sony Europe game servers support page first announced that Kill Strain would be shut down on July 1st, 2017. PlayStation Lifestyle and Trophy hunting forums reported the news at the time but the game remained online and playable after the July 1st deadline. By October the Sony Europe page was updated again, this time stating that Kill Strain would be shut down on December 18th, 2017. No explanation was given — the game’s social media accounts went silent just months after release — but low player retention and sales of content are likely the cause. The game’s homepage offers several leaderboards of recent activity and for the day of October 5th, 2017 it appears there were just 103 players. Build a collection of ruthless Mercenaries and terrifying Mutants! 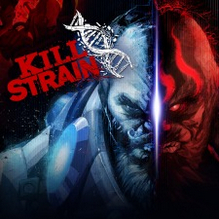 Free to Play: Kill Strain is free to download and play, but never pay to win. Intricate Character Progression: With the ability to play as human or mutant, players can tailor the technological enhancements of their human character and biological enhancements of their mutants to their individual play style. Thanks to an anonymous reader for submitting this information to the site.